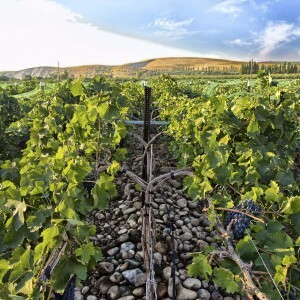 The Syrah vines are trellised and trained using a quadrilateral system. 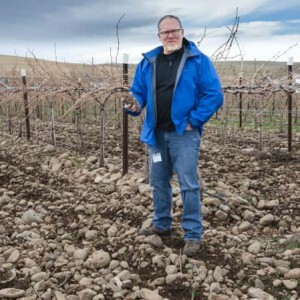 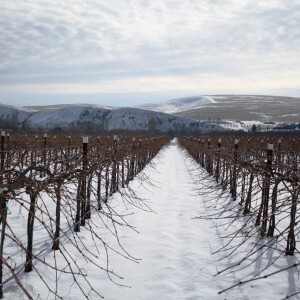 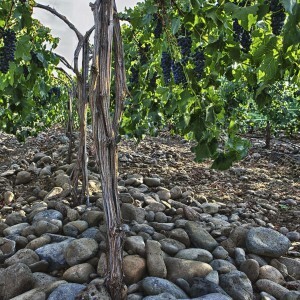 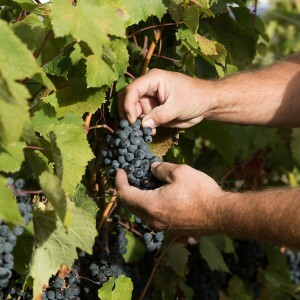 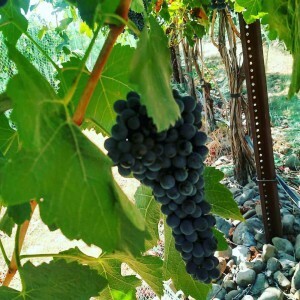 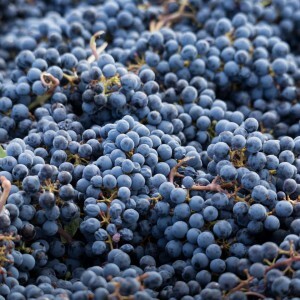 The Funk Estate Vineyard was planted in 2007 with five acres of Syrah by Richard and Anita Funk. 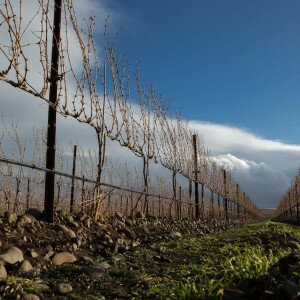 In 2017, five additional acres will be planted with Cabernet Sauvignon. 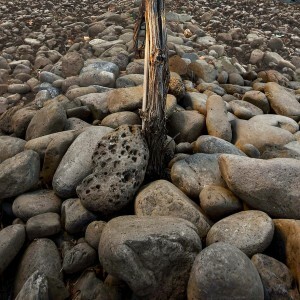 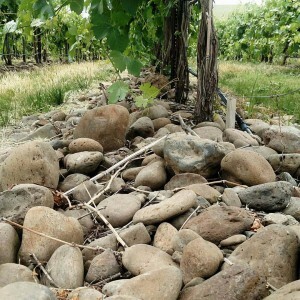 The vineyard site, located near the apex of the alluvial fan with an elevation of 965 feet, is considered the warmer area of The Rocks District. 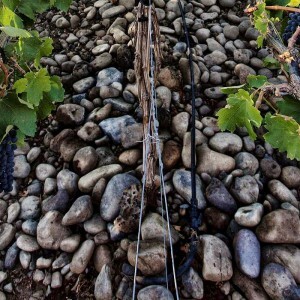 The Syrah vines are trellised and trained using a quadrilateral system. 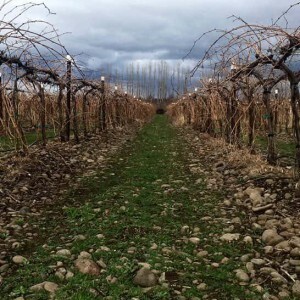 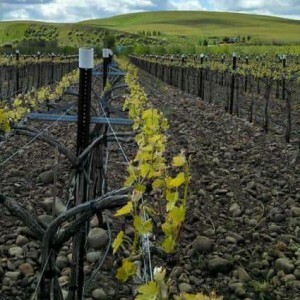 This type of trellis system was selected based on our successful experience with the same system at another vineyard in the Walla Walla Valley. 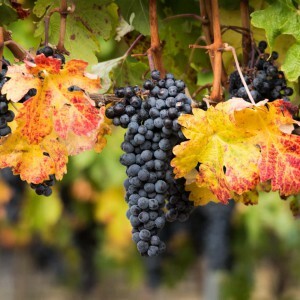 There are three main benefits: easily controlled light exposure and air flow; reduced manual labor for canopy management; and most importantly, lighter cluster weights and smaller grape berries. 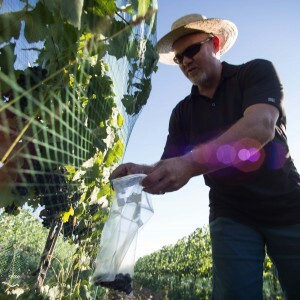 We are firm believers that wines are grown in the vineyard and that this trellising system allows us to grow fruit that delivers wines that are darker, richer, and that showcase the distinctive, seductive aromas, flavors and textures of the Funk Estate Vineyard terroir. 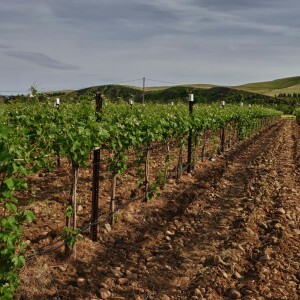 We currently produce three wines from this site including The Funk Estate Syrah, The Stones Speak and the Hunt & Gather Syrah/Cab blend.